The Global Agency Summit is an opportunity for WPI’s Partners from around the globe to gather and discuss trends and topics important to the network’s clients and their agencies. The theme of this Summit is “Acceleration”, highlighting the need for agencies to break new ground, launch new models and to be continuously evolving to effectively lead their clients in today’s global marketplace. Worldwide Partners meeting in London, 2018. Worldwide Partners has brought together experts from around the globe to address a range of industry topics, including the future of television, the rise of experiential marketing, talent acquisition and retention, new agency models and more. Rosie and Yakob Faris, co-founders of Genius Steals, are the opening keynote speakers, demonstrating how they’ve dismantled every assumption of what an agency is to form their nomadic creative consultancy and how WPI agency partners must do the same to prepare for the future. 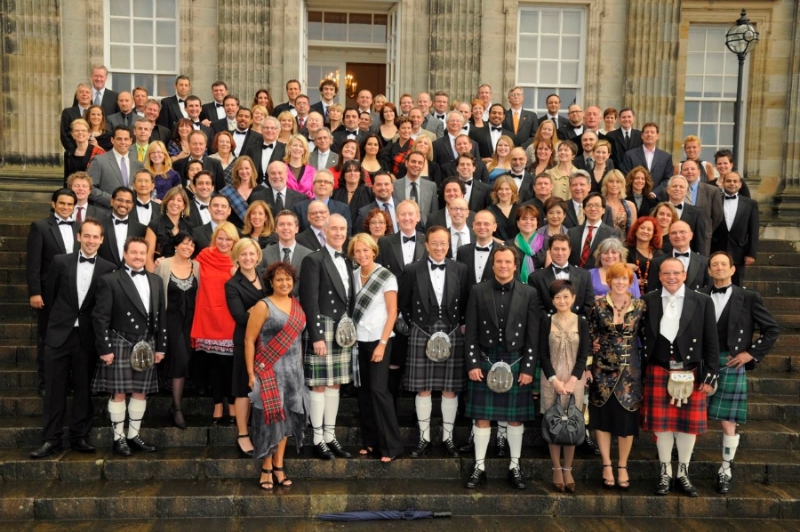 Worldwide Partners met in Edinburgh for the Global Meeting in 2009. Other leading industry experts speaking at the Summit include Marco Bertozzi, VP of Sales for Spotify Europe, Kelly Williams, Managing Director of ITV, Meabh Quoirin, CEO of Foresight Factory, Michael Gillane, Director Marketing of Heineken UK, Amber Kirby, VP of Marketing of Virgin Holidays, Patrick Mills, Director Membership and Professional Development of the IPA, Brent Hodgins, Managing Director of Mirren, Nancy Hill, Founder of MediaSherpas and former CEO of the U.S. 4 A’s and many more. In addition to learning from industry experts from outside the network, WPI partners engage in several working sessions, subnetwork groups and intimate events, allowing them to collaborate face-to-face, translate real life experiences into insights, and empower each other to accelerate their businesses forward. The Summit’s setting showcases how environments too can be accelerated with renewed energy and inspiration. Events take place at the Mondrian London at Sea Containers and White Rabbit Shoreditch Studios’ converted Victorian archways.